The original plan for today’s post was to share this triple layer carrot cake. I was hoping for a birthday miracle – maybe just this once it would work on the first try? Yea right. Three trials later, I don’t want anything to do with cake. (Let’s be real, that probably won’t last more than a day.) Vegan and gluten-free cake creation is not for the faint of heart, I tell you. Enter Birthday Burgers. This might have to become a yearly tradition! I think I like this meal better than cake anyway. You’ve probably heard of those BB skin creams and potions that are everywhere these days. Well, I like to think of this as a BB meal. There’s no sugar crash – just a boost of energy for hours, a kick in your step, a glow to the skin. Total BB meal. Nourish that skin from the inside out. Wrapped in curly lettuce and topped with a cilantro-lime-tahini sauce and homemade salsa, it’s just about the most balancing meal I could’ve hoped for to kick off turning 31. It’s going to be a great year. 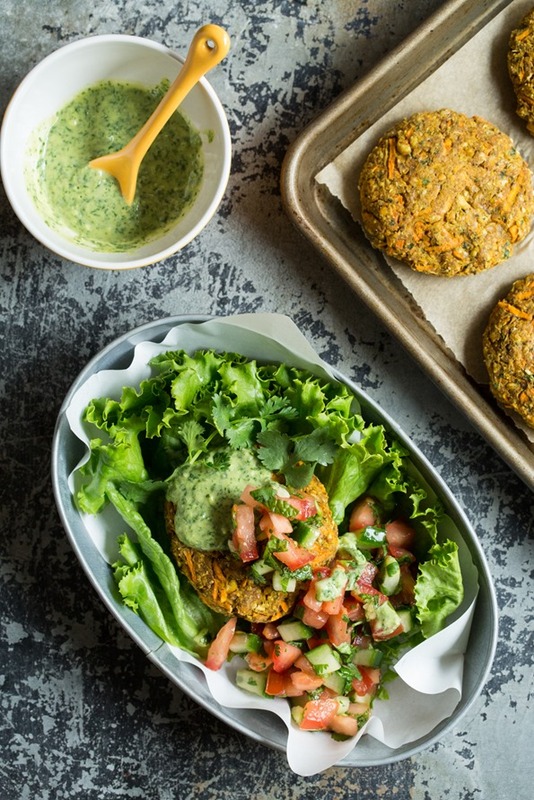 A flavourful Moroccan-style veggie burger served with a tangy and fresh cilantro-lime tahini sauce. You can make these burgers soy-free by using coconut aminos and they are naturally gluten-free when using certified gluten-free rolled oats/oat flour. Burger recipe is inspired by Ryan's Moroccan Yam veggie burgers from the Whitewater Cooks Cookbook. FOR THE BURGERS: Preheat the oven to 350F. Line a large baking sheet with a piece of parchment paper. Peel the yam. Using the regular-sized grate hole, grate the yam until you have 1 1/2 lightly packed cups. I used the grater attachment disc in my food processor to save time (it takes less than 20 seconds). Place into large bowl. Remove grater attachment from food processor, and add the regular "s" blade. Mince the garlic, cilantro, and ginger until finely chopped. Add drained chickpeas and process again until finely chopped, but leave some texture. Scoop this mixture into a large bowl. In a small bowl, stir together the flax and water mixture. Grind the oats into a flour using a blender or a food processor. Or you can use 3/4 cup + 1 tablespoon pre-ground oat flour. Stir this into the mixture along with the flax mixture. Now stir in the oil, aminos/tamari, salt/pepper, and spices until thoroughly combined. Adjust to taste if desired. Shape 6-8 patties, packing the mixture firmly together. Place on baking sheet. Bake for 15 minutes, then carefully flip, and bake for another 18-23 minutes until golden and firm. Cool on pan. FOR THE CILANTRO SAUCE: Mince garlic in a food processor, followed by the cilantro. Add the rest of the sauce ingredients and process until smooth and creamy. 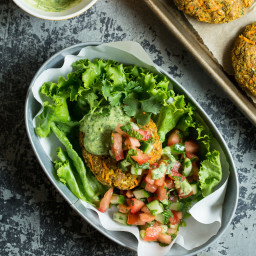 Serve the patties with a generous dollop of sauce and optional homemade salsa (from OSG cookbook, p.95) with a bun or lettuce wrap. Note: I was missing a bit of crunch in these burgers, so next time I think I will add 1/4 cup sunflower seeds into the mix. Don’t forget – today is the last day to enter the #osgcookbook Vitamix Contest. Keep those pictures coming! Will you please make a green monster cake, if you have not, yet. These look divine! I think they’d also be great on a kale salad with a smoky dressing — and I think that’s going to have to happen at my house this weekend!! So we will celebrate “with” you!! Mmm..glad to hear that sweet potatoes work, as I don’t know that I can get yams in the UK. Anyone care to elaborate on the differences? True yams are not sold in the US, either. Anything labeled “yam” in the grocery is actually a variety of sweet potato. In different parts of the US, they are labeled differently. Some people think of Yams as being the very dark fleshed ones, and Sweet Potatoes as being lighter fleshed. Angela – what’s your differentiation? So creative to transform yams into a burger. I like the idea of adding in some seeds for crunch. Will definitely give these a go. I love veggie burger recipes and this one sounds fabulous! I’ll be trying it soon! Mmmm. Love the bold flavor of cilantro! That sauces looks like it would be amazing on just about anything! These look delicious! And perfect timing as I was just thinking about what do cook this evening with my sweet potato. That sauce…. delicious. Happiest of birthdays! Happy birthday! It is going to be a great year! These look so yummy and I am making them soon – maybe next week. Thank you so much for another glowing recipe. I wish you well with the cake making but I understand it is challenging to make Vegan baked goods. Wow! I love the combination of these spices. I can’t wait to try these. Also, I have posted a lot of pictures for the contest as I have been cooking from your book almost everyday since it came out. Good luck to everyone! What a great way to motivate people to eat healthy! Thanks for your sweet words Celeste! Happy Birthday Angela!! Hope you have a wonderful day filled with lots of love! 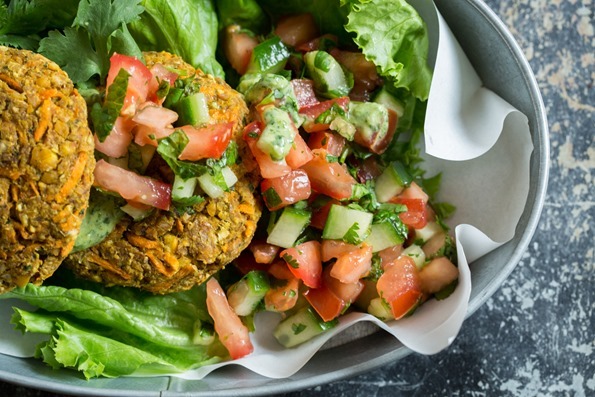 These burgers look fabulous – I am looking forward to trying them (I love cooking with coriander and cumin!!). Looking forward to your carrot cake recipe as well! Have a great day – enjoy every minute of it!! Happy birthday! I was planning on making veggie burgers for the long weekend and thinking I would do some kind of chickpea thing…are you reading my mind?! These look AMAZING!! I really hate cilantro, is there an alternative? I’ve never had tahini with burgers before. What a great idea! Thanks for sharing this recipe! I love all of the flavors and ingredients you used. Looks delicious! This looks absolutely delicious! I am definitely going to have to try this one out. This recipe sounds amazing. A very inspiring use for one of my favorite legumes! Please keep at it with the carrot cake! I have been searching for a great dairy free carrot cake recipe and have yet to find one that I trust will be fantastic. 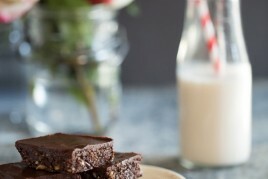 I know that once you have perfected yours, I will finally have a recipe to depend on for the dairy free’s in my life! Thanks for all the great recipes and inspiration. Happy Birthday. These burgers sound absolutely wonderful and I can’t wait to give them a whirl. The cilantro lime tahini sauce has my name written all over it! Chickpeas have been taking over my pantry lately. You just solved my problem–these look amazing! Thanks for sharing! It would be great to read comments from people who have actually made the recipe. The pattie mixture seemed a bit dry, so I added water to help them stick together. Other than that (and a little less chili powder), I followed the recipe exactly. This looks awesome. Need the carrot cake recipe!!! Carrot cake is my favorite, but I’m sure it’s challenging to make it vegan. I can’t even make the regular kind, but these burgers I’m sure were just as good. Is there any chance that you could grill these instead of cooking them in the oven? These patties look fabulous!! Love! My husband really wanted to try out his new BBQ (who says vegans don’t BBQ ;) so we grilled these burgers today and they were fantastic! We also grilled some veggies to go with them and I added a tomato salad and organic BBQ sauce to the table. The tahini sauce was a hit too, it had such a lovely creamy texture. Thanks so much for all your delicious and inspiring recipes! And my guess is we will see a carrot cake recipe in the near future ;) You can do it! Happy Birthday! Cilantro sauce? That’s like catnip to me. YUM. Happy Birthday Angela! Have a wonderful Day and my best wishes for you! I think you should of just made your Heavenly carrot Cake baked Oatmeal for today :) …..love cilantro I have to try this recipe! Made these for dinner tonight, they were amazing and looked exactly like the photo! Doesn’t often happen with vegan recipes. I’m new to the site but will definitely be back! Thanks for the wonderful recipes. Happy birthday Angela! Angela these burgers look fabulous, I will definitely have to give them a try! I don’t usually comment but felt compelled to today. Hope you have a wonderful 31st birthday, I also celebrated mine earlier this month and I am also expecting my first child in September! 31 will surely be a life changing year for both of us. Happy birthday! These burgers look delicious! Do you think they would work with carrot instead of sweet potato? I’ve been getting a lot of carrots in my CSA box lately. These look like they have flavors I would love! Is the sesame oil you used the dark toasted sesame oil or just regular light sesame oil? Thanks! Sounds awesome! I will definitely make these soon. I was excited about taking a picture of the recipes in your cookbook that I have made (so far all great) but I can never get my hands on your cookbook lately. Since I bought it, it’s been borrowed by friends and family more than it’s been in my kitchen! Guess I need to just buy another and take one for the team! Will have to try these! They look great :) Have a beautiful Happy Birthday weekend! So I have a question…I’ve seen a lot of veggie burger recipes that use sweet potatoes or yams. I’m wondering if they taste like sweet potato? I love em, but my man doesn’t like them at all. Made the sauce last night to go with sweet potato fries and it was fab! Thank you for this great recipe, Angela. I’ve just made these burgers and they turned out perfectly well. I used sweet potatos because I couldn’t find Yams here in France. Really lovely recipe with a big salad. Just bought your book too and tried several recipes with succes. Thanks again for your creativity and food passion. ANG! You wonderful woman you! Happy Birthday! I was wondering what exactly we would have at the BBQ (I was going to offer to bring Eggplants) But these look pretty darn awesome! Amazing yummy looking post as always! I just discovered a crazy connection! I know your aunt Sheila (Eric’s aunt). My mum was visiting recently and I cooked her a bunch of recipes from your cook book, she ended up buying it and was chatting to Sheila and they soon figured out the author was you! My mum and Sheila have been good friends for many years. How crazy! Hope you are having a wonderful weekend. Happy Birthday Angela, these look wonderful, love veggie burgers. Angela, I made these last night and they were a hit! Thanks so much for the recipe! The Cilantro Lime Tahini Sauce sounds just amazing! Thanks for sharing! These look great, Ange!! And happy belated birthday my birthday twin!! Simply wonderful! Last night I went to your site for dinner inspiration and there it was. Made the burgers, plus the cilantro sauce along with a similar recipe to your salsa (I have your cookbook) as my hubby doesn’t like cucumber so I made one with avocado. These burgers and accompaniments are So delish! I am making another batch today to have for a BBQ tomorrow. Thank you thank you thank you!!!!! Making these as we speak and for some reason they are not sticking together very well. Any tips? Thanks! These sound incredible! Happy birthday to you! Are you listening?? Make these NOW! So absolutely delicious. Every bite was followed by yummmm from me and my husband. Cannot wait for tomorrow to have these again. And the sauce? The best. Way to go, Angela! I just wanted to say thank you for this recipe!!! I just made them and they were absolutely fantastic! I am so grateful for your website. I am vegan and my omnivore boyfriend is allergic to soy and almonds, so sometimes it is hard for us to find something we can both enjoy. He loved your lasagna, and I think he is going to love these too! Thanks again! Would love to see a gf carrot cake recipe at some point! Made these last night – they were delicious. Sadly, no leftovers for lunch today, they were just too yummy. Even my 12 year old liked them! Happy belated birthday! This has been quite a year for you with everything that has happened. … and 31 is looking out to be even better with the arrival of little Baby Glow! I made the burgers … My boyfriend and I loved them. Thanks for the note on sunflower seeds – I love the ideas of adding some crunch too. The sauce completes the burgers very well! I saw that cake on IG and about died! 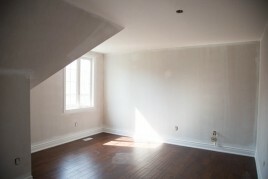 At least it looked amazing? I’m sure it’s close to tasting amazing too, you’re probably just a perfectionist. But I can relate to the frustrations of vegan/gluten-free/refined sugar-free baking. I have had so many fails- everything turns out so gummy. GF flours just don’t absorb moisture the same as regular flour. Anyway, I think the burgers are a perfect subtitute. We could all use a little BB burgers no matter what age. Happy 31st Angela! Veggie-on-veggie the fabulous way! Your creativity is admirable. Happy birthday, Angela! I love recipes for veggie burgers! You always put such fun spins on them. Can’t wait to try this! Happy happy birthday!! Birthdays are my favorite time of year, I hope yours is a blast! I made a double batch of this morning (very quick to put together) and they were gone in an instant-these get six toddlers’ seal of approval! Thank you! Just made these for supper and they were delicious! Great recipe and easy to make. These sound fantastic, Ange! Loving that first photo and the green sauce is so fun + vibrant! Happy birthday, my dear. I commend you on your efforts to make a gf/vegan cake. Not an easy task! This looks amazing! I’ve never used yams in my veggie burgers. Definitely trying this one! Is the yam/sweet potato supposed to remain in the food processor when the cilantro, garlic, ginger, then chickpeas are added to process? Thanks! Nope you can add it into the bowl – I edited the recipe to clarify. Thanks! I made these right after I posted my question; decided I had to have them immediately! They were totally delicious & nourishing and I’ll be making them again soon (I may try to freeze some). Initially, I removed the yam from food processor and set it aside, but then I second-guessed myself and returned it to processor and pulsed it a bit with the chickpeas – still turned out great. Thank you Angela! All the best. I’m on a constant search for veggie burgers that taste good, and something tells me I couldn’t do much better than this one! They seem to be packed with so much flavour, and I love the sweet potato-chickpea combo for the ‘base’. These are definitely calling my name! I’m looking forward to trying out this recipe! Is there any sub that you know of for the oats as I’m grain free, I was thinking garbanzo bean flour? Or more flax? Happy Birthday! This looks like the perfect Memorial Day meal as the rest of my family bites into meat! Another winner! I made this tonight, with the addition of the sunflower seeds, and had much success. The sauce is outstanding! I may bake or sauté the yams very briefly before adding them. This is one wonderful blog! These are delicious even without sunflower seeds! Thanks for sharing it and enjoy your pregnancy..
these were incredible. They’re some of the most flavorful veggie burgers I’ve ever had and I’ve made them 3 times over. Twice to fill the freezer. They bake up nicely straight from the freezer in the oven after just 15-20 minutes at 350 (I like them pretty soft with a good crust). I used parsley instead of cilantro because that’s what I had on hand. The sauce really makes them! Great recipe Angela! Thank you!! Canadians do it best! I just made these, they were awesome! The flavor was amazing, the fresh ginger from the burgers and the savory lime tahini sauce came together so well. This was our first vegan meal, even my skeptical husband could not resist eating three of these!! The only issue with them was mine didn’t stay together well, the consistency was more like mashed potatoes. Maybe I over processed the chickpeas. Yum! Cilantro lime tahini sauce sounds sooo good! And I love a good vegan burger for spring/summer! These were absolutely incredible…I love anything I make from your cookbook, site, etc…but these (like I say to all them), could be my absolutely favourite dish. I made it all (the salsa, the veggie burgers, the dressing), and my hubby, kids and I licked our plates. Thanks again! I’m grain free and don’t use oats, any chance you think I could use almond flour instead of the oat flour??? Thanks :) Love everything you post!!! Just made these tonight for dinner. Followed the recipe to a tee. The results where fabulous!! So flavorful and hearty. The “burger” stuck to my wax paper a little, I would just spray the pan before hand. Even my husband and son, who are meat eaters loved these!! Will make these again. Perfect timing! I’ve been looking for burger recipes and I’ve been eyeing the yams in my kitchen trying to figure out how to use them up before they go bad. These are going to be dinner tomorrow night. I’m praying my four kids like them so that they can become a regular burger recipe at our house. They look SO delicious! These were delish. The sauce excellent. This was the first recipe that I used from your site. Really, really impressed and I can be such a food snob. I added toasted pumpkin seeds to the patties. Really nice! I have recommended your site to so many people. Thank you Patti! I appreciate it. Just pulled these from the oven. Delicious! Satisfying! Just wanted you to know that I made these and I absolutely love them. I am always afraid of making veggie burgers. Always afraid that it won’t come together but these were easy to form into patties and they didn’t fall apart. Now the flavor….DELICIOUS!!! Made these last night with black beans (since I forgot to buy chickpeas on my grocery run) – YUM. I brought one for lunch today with a whole wheat bun and it actually kept me full until quitting time…no “hangry” rush hour commute home for me! Thanks!! FINALLY! A veggie burger recipe that actually holds together when you pick it up!! 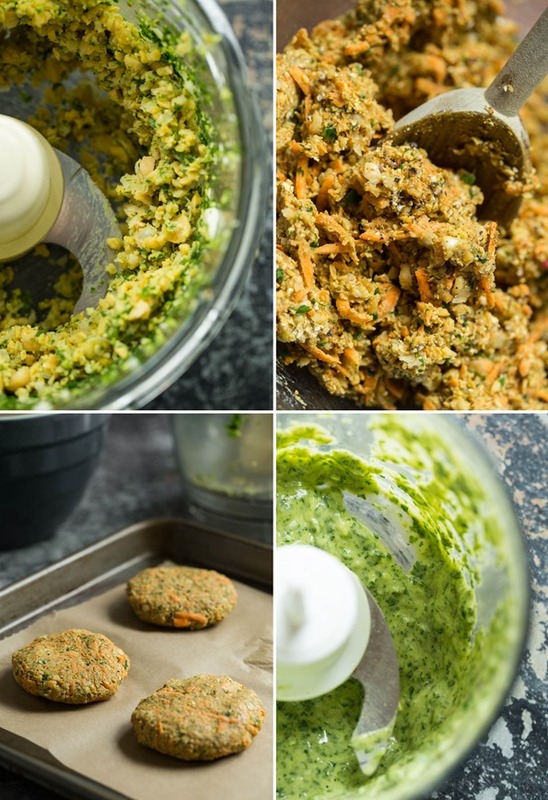 I’ve made countless veggie burger recipes and I could never find one that wouldn’t crumble the second you tried to flip it or pick it up…until now! These burgers are delicious. Thank you!!! So full of flavor and i love the shredded sweet potato in there. I will definitely be making these again! Thank you! I’ve been looking for a yummy vegan burger recipe! I will have to try this for my family soon, my hubby has been loving sweet potatoes lately. I will try it with that! Wow these were amazing!!!! I wasn’t sure how the family would react at first but then there was no leftovers. I LOVE your recipes they are always a hit!! Keep up the great work!!! We made these for dinner yesterday and they were so good! And the sauce – yum! We poured it over everything on the plate. It was great over our tomato cucumber salad along with roasted potatoes. I had made some chickpeas from scratch, so I made hummus after the burgers & sauce and the flavors leftover in the food processor gave it a delicious twist. Thanks so much! I have made these yummy yammy burgers twice now and LOVE them! There is such a depth of flavor with all the seasoning; ginger is the kicker! I also am addicted to the cilantro tahini sauce. It’s my new favorite dressing for my kale salad. Finely chopped kale, cukes, onion and tomatoes with a little cilantro. Then I either add wheat berries or white beans, whatever I have. I could eat it every day!! Thanks so much for all your amazing posts! Loved these! I served them just on a plate with the cucumber tomato salsa. I will be making this cilantro tahini ssuce for mamy future applications! This was fabulous! I am really enjoying the recipes on your site and have told my friends about it. I’ve made your raw brownies several times! I didnt have chickpeas on hand so I used only about a 1/4 cup of cooked green lentils. It was still fabulous. The texture was perfect. I didnt see your note about adding sunflower seeds until the burgers were done so I, too, will try that next time. Next time, I wont add as much chili powder because it had quite the kick for my taste. I tried to shape the burgers using my hands and that was a mistake! The ingredients just stuck to my skin. It worked fine just putting the mixture on the parchment paper and shaping with a rubber spatula. We absolutely LOVED this recipe. I made a double batch and froze 1/2 of them. I love the flavors of the burger. I was out of Tahini and used avocado instead which worked fine, but I can’t wait to make it your way next time. These look amazing! Can’t wait to try! Chickpeas do not suit me due to severe acidity issues. Could you suggest a replacement if possible? I’m a huge fan of yours – I make your recipes all the time. 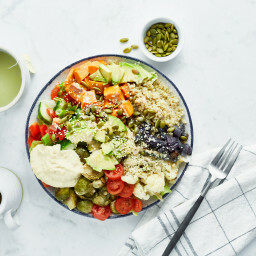 I just love how healthy, fresh, and pure your recipes are, and at the same time, they are elevated, sophisticated dishes, using relatively basic, not obscure, ingredients. I made these burgers and the sauce yesterday for my family and we all absolutely loved them. Probably one of the best dishes I’ve made from your site and one of the best veggie burgers I’ve ever had. The burger’s flavor is so complex and multi-dimensional – in one bite, I get a sweet flavor from the cinnamon and sweet potato (which I used instead of yam) and then the spicy flavor comes through. Really delicious. So thank you!! You are such an inspiration as a vegan cook, leading a healthy, wholesome glowing lifestyle. And congratulations on your pregnancy! Best wishes! I made these for 4th of july and they were delish! I added some sunflower seeds per the suggestion at the bottom. My only complaint is that mine came out a little too mushy because I think I over-processed the mix in the food processor. I cooked them for longer than suggested hoping it would make them firm up some, but it didn’t really help. The taste was right on though and by day 2 of leftovers, they were almost the perfect consistency!! The cilantro tahini sauce was also a huge hit and really “made” the recipe :) Everyone (including many non-vegans) loved them! Thank you for another fabulous keeper! These were delicious! My 3 year old even ate one. I normally eat meat with dinner, but these were very satisfying on their own. Thank you for sharing! What about gaining some recipe inspiration from Babycakes NYC for gluten-free vegan cakes. 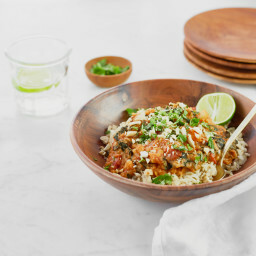 I am very interested in making this but I am wondering if you have any suggestions of an alternate herb to use than cilantro? Perhaps it isn’t possible to substitute that part but I just wanted to ask because I really like the overall idea and everything else in the recipe! I just made the Moroccan Yam Veggie Burgers for my family. They were SO good! Even my teenagers ate them with NO (real) complaining. The sauce on top was perfect and I added the sunflower seeds, too. I love your site and have referred it to many others. I can’t say enough awesome things about all these recipes. These Moroccan veggie burgers were awesome! I added the sunflower seeds as suggested and ate them on pocketless pitas. Thanks, Angela! This is a flavour infused recipe that will go into my cook book. If you enjoy cilantro, this will tickle your taste buds. I would add some crunch as the recipe suggests. I individually wrapped the patties and put them in the fridge. Warming up by frying in your oil of choice adds a very nice exterior shell/crust. Sultanas would be a nice addition too. Fabulous. The burgers were tasty as was the sauce. Left-overs went into the lunch bags!! This is delicious! Great moist burgers and the sauce is such a treat! How do these compare to your veggie burgers with the peanut sauce. They both share many of the same ingredients, but with some differences. I can’t decide which ones to make… Is one recipe more spicy or savory or something? Amazing!!! I love freezing this so I have them for lunches. One of my favourite recipes of all time! These are one of our all time favourite recipes from your collection. I have made them now about 4 or 5 times and am just about to cook up a batch for tonight. Honestly the mix of flavours is heavenly! I think they need a new name though. ‘Burgers’ makes them sound so ordinary and these are anything but. You must not skip making the sauce and salsa and DO serve on a bed of greens as suggested. The salsa ingredients today are coming from my garden. Another excellent veggie burgers recipe. I made “Our perfect veggie burger” a couple of weeks ago and I just finished making a third batch. Delicious! I decided to try this one and I LOVED IT! The lime-cilantro sauce is a perfect combination. Didn’t use the sunflower seeds but I may consider that next time. Either way, they turned out super yummy. Thanks Angela! Oh, boy, these were delicious. I love the spices and the texture. My two year-old enjoyed them and my eight year-old asked when we’d have them again. My husband insisted on eating his on bread but to each his own, right?! So easy to make and the leftovers were great on top of a big salad the next day. They sell yams in the Atlanta area at farmer’s markets/international markets. The starch content helps the burgers stick together without eggs. I substituted oat bran for the oats and paired the burgers with some juicy heirloom tomatoes from the local farmer. My husband really loved the cilantro sauce. Fantastic!!! The only regret was that I didn’t make more. are the coconut aminos or low-sodium tamari necessary for the burgers? Hi Leah, They serve the purpose of enhancing the flavour and adding sodium too. If you were to leave it out I would suggest adding more salt (to taste) and possibly increasing the spices. Hope this helps! I made these burgers tonight, so yummy, I think they will be one of my favorites! Added in the sunflower seeds and they do lend a really nice crunch. Thanks for a great recipe! I made the entire recipe, including the OSG salsa from the cookbook. YUM! I had promised my coworkers that I would bring some to work but now I want to eat them all myself. Is that wrong? Also, if you ever decide to open an OSG restaurant (or two), please consider coming to the Virginia area. I will be your most loyal customer!!! These were unbelievably good! Will definitely be making again! Even my picky eater teen loved them! I sprinkled the roasted sunflower seeds on top of the sauce, which gave it a nice crunch. Thanks for this fantastic recipe! These are my new favourite meal, honestly I could eat them every day. I have them on mini naan bread rounds with an avacado-tomato salad on top. That being said, do you have a rough idea of how long they’ll last in the freezer? I’m always tempted to make more each time but I don’t want them to go to waste. Thanks! I’ve made them 3x already and have numerous people ask me for this recipe. 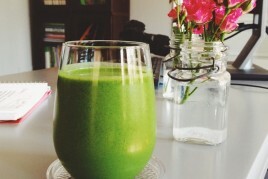 Love your blog, thanks for the super nutritious and delicious recipes! Made these today, taste great! Doubled the recipe which made 13. I used Yams which are a purple color and exchanged one can of chick peas for kidney beans which are a little lower in calories. Sauce needed a little more lime juice which gave it a bit of a kick and sprinkled with Raw pumpkin seeds. Will definitely make again. Just made these for the first time and my meat-eating husband loved them. We will be making these again! My omnivore husband really enjoyed this. I served it on a bun (using the lime dressing), with a side salad, using your lemon tahini dressing for the salad. My two teenage sons and I LOVE your recipes! We enjoy cooking together and think these Moroccan burgers are exotic and delicious. Our favorites are the Thai peanut patties. We substitute almond butter for the peanut butter. We also grate the yams by hand to a finer grate. We have found this allows the burgers to hold together and not fall apart. Today, we’re adding lightly chopped sunflower seeds to the mix to add a pop of crunch. Yeah… I hate it when all the comments are of people who haven’t tried the damn recipe so, with that sentiment in mind, these burgers are AMAZING! My family has dubbed these the crack burgers, because when you eat one you want to eat like 6. The best part of them however is the sauce, so make a double batch..
Yum! I made these last night and enjoyed both the burgers and the sauce/dressing. They were a little soft and fell apart somewhat easily though, and I was wondering if they would crisp up a little bit nicer if cooked on the stove? What would you recommend as far as cooking time in a skillet? Can these burgers be frozen? I have been trying to make these burgers, and for the life of me, they will not stay together! It tastes delicious, but I end up making more of a hash than a burger. Any suggestions on how to make them hold together instead of crumbling before I can even get them in the oven? I’ve followed this word for word. Try compressing them harder in your hands when you made them. I have lots of experience with these and other veggie burgers. I think that is key, if as you say you are following the recipe exactly. Mine always stay together. It’s Father’s Day eve and my birthday is Monday so I have these in the oven right now :) Smells wonderful! I didn’t really like the dressing at first taste … Until I put it with the burger and wrapped it in butter lettuce. The combination was delicious! Try this recipe! Have you ever tried freezing these burgers? Thank you! Yes, when I made these or any veggie burgers I always made a double batch and freeze. Fantastic. I like to take take a pattie with salad for lunch. Looks good! What could I replace the oats with? Sorghum? I just made these today and they were soooo good. The mixture did look a bit dry but they held their shape so I just left it. Glad I did because they were perfect! The chickpeas and yam crisped up so nicely on the edges. I didnt have sesame oil or sunflower seeds so I dipped one side of the patties in sesame seeds, yum. And unlike sooo many other veggie burgers I have had they were not mushy inside. Oh, and the sauce was deliciously creamy. Dont you just love tahina? Yessssss! Will for sure make again. Thanks for the great recipe! I really like these and so appreciate when the nutrition information is included as I am pre diabetic and have to consider the ratio of carbs:protein. Love these!! no you don’t. I have made these several times, and other veggie burgers. OSGs has a great black bean burger in her recipe book that uses grated carrot, and again no need to precook it. Love these burgers Angela. I have made them many times, especially for friends. The sauce is divine. I think calling them ‘burgers’ a a misnomer though. Being bunless people initially think that something is missing, but then when they try them -love them!! I am making them again for a pool party tomorrow. LOVE these but they aren’t filling and are too much work to eat them all in one sitting :) Non-vegans, you can paleofy these into a more filling meal by subbing two eggs for the flax seed and almond flour for the oat flour. Can i bake them in apan wiht little oil ? Will the burger break ? Hi Joanne, I’m not positive as I haven’t tried it. For best results I would recommend cooking as the recipe states, but if you try anything else out please report back! This recipe looks amazing! What could I substitute for the oats though? I am totally grain free. Hey Brenda, Have you experimented with cassava flour yet? It’s grain-free, and while I haven’t tried it in a veggie burger yet, you might be able to add a bit of it into these burgers for binding purposes. Made this last night and it was so tasty! I did the whole recipe by hand (I don’t own a food processor) and it turned out really well. I used a small-medium sized yam and it turned out to be perfect. My bf loved it too! Hey Carolina, I’m so happy you made it and loved it! Thanks for letting me know.